The Corvette Chevy Expo event shirts are 100% pre-shrunk cotton. The tee’s are Chevrolet Licensed and the graphic design is by ET Motorgear. The print is on the back with a small crest on the front. Check out the Official Event T-ShirTS. 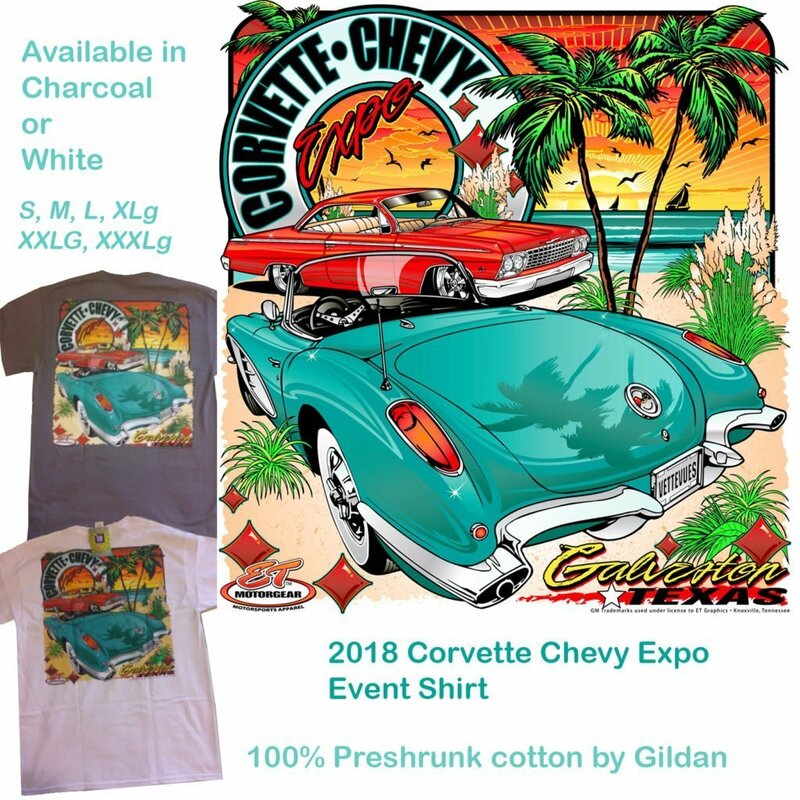 Corvette Chevy Expo Event Shirt for 2018 comes in Charcoal or White. Event shirts are $22.95 with Free United States Shipping.